INTERNET Website: Hampshire Hypnotherapy Centre Ltd.
Laura Phelan is an Eating Disorder Specialist Therapist and the founder of Phelan Well. Since her astounding recovery from Anorexia she now specialises in eating disorder recovery and helping people develop a healthy relationship with food through training at the National Centre of Eating Disorders. Laura also works with private clients, delivers talks to companies and schools to empower people to look after their wellbeing as a whole, feel confident and well inside and out. She is an also an ambassador for B-eat, the UK’s leading eating disorder charity and a Mental Health trainer for Mind. 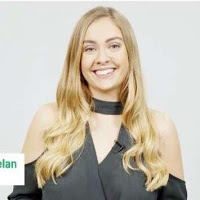 Laura also founded Phelan Well which got its mark as a non-profit CIC organisation this year, to help raise awareness and support anyone affected by eating disorders. Rob Smith FIAEBP DHyp Adv.